Following bellow is attempt to reproduce Hans de Goede blog entry at http://planet.spice-space.org/ on Ubuntu 11.10 with intent to build Spice-Gtk-0.7.4X up on current snapshot of git://anongit.freedesktop.org/spice/spice-gtk to obtain Spice-Gtk working stable with development Spice version 0.9.1. Build done on Ubuntu Oneiric include USB redirection support , but due to obvious reasons stays just a feature which cannot be used for real redirection. If USB redirection will appear to be in Qemu-kvm upstream, then Ubuntu will be ready to pick it up. Packaged version version of Spice-Gtk-0.7.4X is built up on mentioned git repository with GTK2 and GTK3 as two sets of packages. Original file spice-gtk-3/gtk/Makefile.am was updated to handle GTK3 build, otherwise GTK3 build failed building spicy. libtoolize: putting auxiliary files in AC_CONFIG_AUX_DIR, `build-aux’. You should update your ‘aclocal.m4’ by running aclocal. 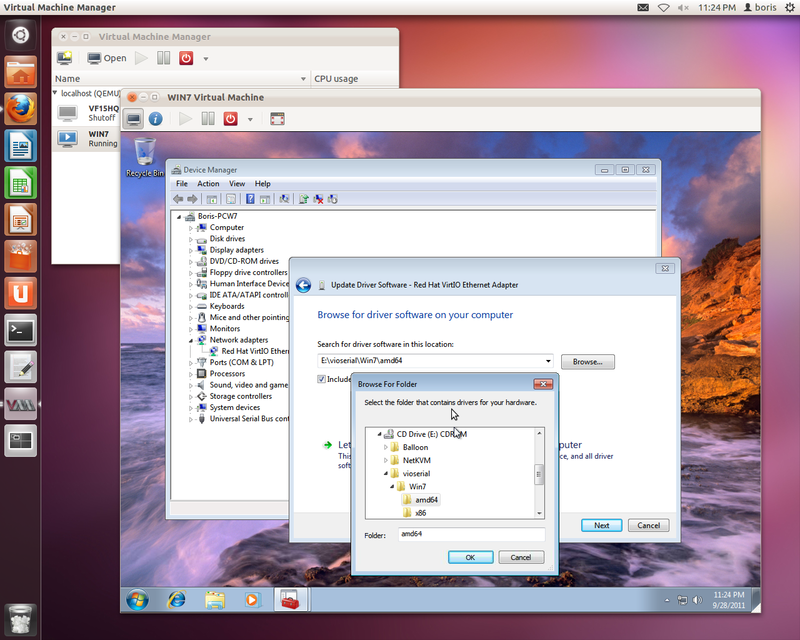 You are currently browsing the Xen Virtualization on Linux and Solaris blog archives for September, 2011.